The theologian Katharina Heyden and legal academic Martino Mona are coordinating the University of Bern’s new Interfaculty Research Cooperation (IRC) "Religious Conflicts and Coping Strategies" together. "uniaktuell" talked to them about religion’s potential for conflict and the challenges of interdisciplinary research. Although religious conflicts fill the news every day, there has not been a convincing model that describes the role of religion in political and social conflicts so far. The Interfaculty Research Cooperation "Religious Conflicts and Coping Strategies" wants to change that. Twelve different groups are going to be researching past and present religious conflicts and strategies for coping with them over the next four years. They want to reach a differentiated understanding of the different factors involved in religious conflicts and develop adequate solution strategies. The "Kappeler Milk soup" has become a symbol of peacefully settling a religious conflict in Switzerland. History has it that in 1529, catholic and protestant mercenaries were eating together in Kappel on the Central Switzerland border during the political negotiations. Transcript of Heinrich Bullingers Reformationschronik of 1605 by Heinrich Thomann. © Zentralbibliothek Zürich, Ms. B 316, fol. 418v. "uniaktuell": You are researching the role of religion in political and social conflicts in your IRC. What is new about your question? Katharina Heyden and Martino Mona: So far, research has often restricted itself to the question whether religions are misused in conflicts for economic and political purposes or whether religions have the potential for conflicts themselves. We assume that religions can both cause and exacerbate conflicts and also influence them positively. Therefore, it is important to understand which historical and political conditions cause religions to develop their conflict triggering potentials and which cause them to transform conflicts positively. We are going to examine how religious conflicts were handled in the past and why certain solutions are successful or not particularly successful. Why can your question only be answered in an interdisciplinary and/or interfaculty way? Conflict research can only be conducted expediently using interdisciplinary and comparative methods. This particularly applies to conflicts with religious elements. We can only understand them fully if we switch between religious insider perspectives and the social and cultural science perspective. By contrast, if research is conducted in parallel and not with each other, both sides develop their own terminologies and compartmentalized discourses, which makes constructive dialogue and viable solutions difficult, if not impossible. What exactly will the collaboration look like? The day to day research work is being done in interdisciplinary research groups of three to six researchers each. They are each guided by at least two professors from different subjects. We called this type of cooperation "grassroots interdisciplinarity" in the application. Furthermore, there will be fixed regular meeting during the semester and different conferences. The highlights will be the four annual conferences, which will also raise the profile of the IRC in the City of Bern. Where are the challenges in interdisciplinary and/or interfaculty working in your specific question? The complexity of the topic and the interdisciplinary approach make the various sub-projects very diverse. This may lead to us losing sight of our common goal. To prevent this, we have firstly placed importance on a shared theoretical approach and the standardized use of the key concepts "religion" and "coping". Secondly, the sub-project leaders complete a questionnaire every year, which contains information about the progress of the projects, preliminary results, difficulties and further cooperation opportunities. How would you describe the best possible result? Ideally, we will be able to present a historically and empirically sound model that discriminatingly describes the role of religion in conflicts after four years. Tools could then be developed on this basis to analyse religious conflicts. What benefits could your research results have for society? We are currently experiencing a debate on the "return of the religious" in public and the simultaneous loss of importance of religions in modern, western influenced societies. As our IRC makes an important contribution to this debate, it is of fundamental social significance. Our analysis tools will not only help the political public to have a better understanding of the actual religious dimensions but also develop effective solutions specific to the context, not least in dealing with religious fundamentalist terrorism. To what extent is your question based on the strategy of the University of Bern? The University of Bern is highlighting the urgent need for targeted interdisciplinary research in terms of feasible solutions to religious conflicts with this IRC. It is closely linked to the strategic plan of the University of Bern. On the one hand, it builds on the University of Bern’s outstanding reputation in the field of "intercultural knowledge", one of its five priority topics. On the other hand, the development of solution strategies is also embedded in another of the priority topic of the University of Bern: "politics and administration". What are you most excited about with the interfaculty research cooperation? The inspiring exchange with young researchers from all over the world and esteemed colleagues from a range of subjects. The lively discussions, which – in light of the serious and controversial topic – will be conducted with care, perspicacity, empathy and a much needed dash of humour. And the many walks between UniTobler, UniS and VonRoll in the next four years. Katharina Heyden has been a Professor for the Ancient History of Christianity and Interreligious Encounters at the University of Bern since 2014. She completed studies in Evangelical and Catholic theology with forays into Jewish Studies, Islamic Studies and Christian Archaeology and Art in Berlin, Jerusalem and Rome. 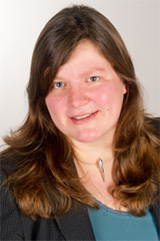 Katharina Heyden completed her doctorate at the University of Jena and qualified as a university lecturer in Göttingen. She was the first and only female theologian member of the "Junge Akademie" from 2012 to 2017. Katharina Heyden is the coordinator of the "Interreligious Studies" course at the Faculty of Theology in Bern. Her research specialisms include multi-religious sites and religious dialogues in the Antiquity and Middle Ages, the hermeneutics of Christian historiography, in particular the crusades, disputes about the personal and energetic images of God in Byzantium, the history of monasticism, pastoral work and Christian iconography. In publications and lectures she places importance on a methodical, thorough dialogue between the past and present. Katharina Heyden is an ordained priest and preaches at Bern’s cathedral. She lives with her husband and their three sons in the Bernese Oberland. 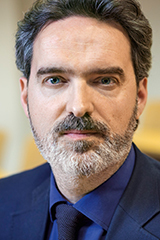 Martino Mona is a Professor of Criminal Law and the Philosophy of Law at the University of Bern. He studied philosophy and art history at the universities of Freiburg, Paris, Oxford and Bern as well as law at the universities of Bern, Basel and Harvard Law School. Alongside his studies, he worked as a journalist and in legal consultancy. Martino Mona completed his doctorate at the University of Basel with a philosophy of law paper on migration ethics and qualified as a university lecturer at the University of Bern with a monograph on consent in criminal law. He has worked at both the University of Bern and University of Basel as a research assistant, research associate and lecturer. He has been working as the Associate Professor of Criminal Law and the Philosophy of Law at the University of Bern since 2007. In his teaching, Martino Mona is mainly committed to the general and theoretical basics of criminal law and the philosophy of law. His research specialisms include method and argumentation in law, procedural theories of justice, the relationship between morality and criminal law and comparative criminal law. Martino Mona is married, a father of five children and lives with his family in Bern. The Interfaculty Research Cooperations (IRC) With the Interfaculty Research Cooperations IRC, the University of Bern is launching joint projects, each of which involves 8 to 12 research groups and which are being specifically funded. At least two faculties must be involved in each IRC. Three projects have now been approved in a competitive process. The IRCs are targeting their research on the five strategic areas of focus of the University of Bern, according to the strategy 2021: Health and medicine, Sustainability, Politics and administration, Matter and the universe as well as Intercultural knowledge. The research cooperations are each funded for four years with 1.5 million Swiss francs per year. The IRCs are based on the subject focuses of the National Centers of Competence in Research (NCCR) of the Swiss National Science Foundation.